Unfortunately disconnect before holiday, order immediately. However, as soon as it is shipped three days later, farm work is temporarily suspended, and it is saved when immediate delivery is possible even on holidays. The price of sc 53 is expensive, but it is inevitable from the functionality. This review is about item#39904785. Durable belt can be purchased at this price and it is saved. I exchanged myself but it was hard. It was considerably less expenses than putting it to a repair shop. I exchanged 8 pieces in all. Everything is purchased from Monotaro. This review is about item#39904636. I am using it in a wetland, I am replaced by an annual or two year thing so it is saved because the price is cheap. This review is about item#39904672. Cost performance is also satisfied. I also appreciate quick response. This review is about item#39904767. It was good to look for various items, find this item on the net, and deliver it quickly. I like it because it is good. I used it for combine. This review is about item#39904654. The price is cheaper than the farm equipment dealership. This review is about item#39905047. Spare - I bought it. It is the next exchange. This review is about item#39904742. This review is about item#39904812. 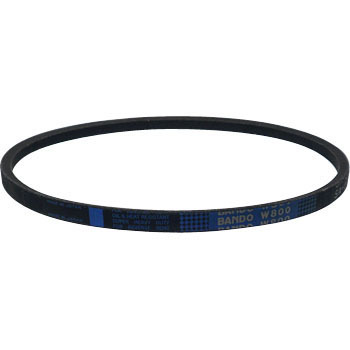 We used the W800 belt because there is no store with inventory. It was saved. I will ask you next year, too. This review is about item#39904681. Various kinds of V-belts are used for combining for rice harvesting. It was saved because I could order in bulk. We will replace 2 to 3 pieces of worn fast every year, so please also next year. It was used for the operation of the auger of Honda snowplow. It can respond adequately even when the temperature is below freezing 10 degrees, and it also has a long life because of its high durability for refraction.